Audrey was born to her parents Laura Dale and Leslie Swanson the oldest of nine children. Her early years were spent in the Blue Lake and Hoopa Valley areas. Audrey — always enjoying music, socializing and dancing — while on her way up a flight of stairs to a dance hall in Eureka, found herself in the path of a young man in a hurry back to his car, both of them moving in the same directions in an attempt to get by They paused for a moment, then he gave her a great big kiss, moving her off to the side, and then took off down the stairs into the night, leaving Audrey to wonder who would have such audacity to do something like that. That same young man would turn out to be Joseph Mello, who at 18 Audrey would marry and remain faithfully by his side until her passing almost 76 years later. Through prosperous times and bad, Audrey’s devotion as a wife, mother, grandmother and great-grandmother never wavered once, even packing up her and Joe’s four children for an opportunity to own and work their own ranch in Canada. She would do anything and everything if she thought it would benefit her husband and family. Through the years Audrey always kept busy, whether it was through gardening or canning fruits and vegetables, dancing, sewing, bowling or keeping Joe in line, she never stood still for long. A good-natured, honest and loving woman, Audrey will be missed by all of her family, friends and loved ones. She is survived by her son, Joseph Jr., with his wife Teresa; her daughters, Barbara and her husband Kim, Mary with husband Don, and Dorothy; as well as the many grandchildren, great-grandchildren and great-great-grandchildren. 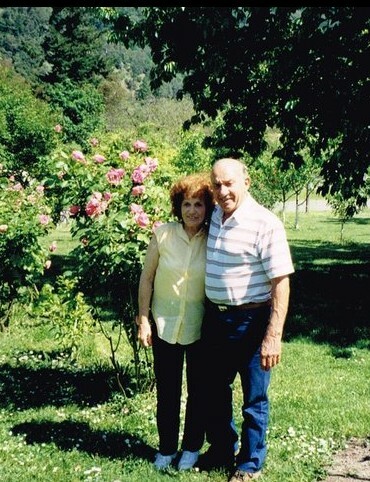 Preceded in death by her husband Joe and daughter Judy, we can take comfort in knowing they are together once again. Services will be held 11 a.m. on Friday, April 20th, 2018, under the care of Paul’s Chapel in Arcata. Family and friends are welcome to attend.